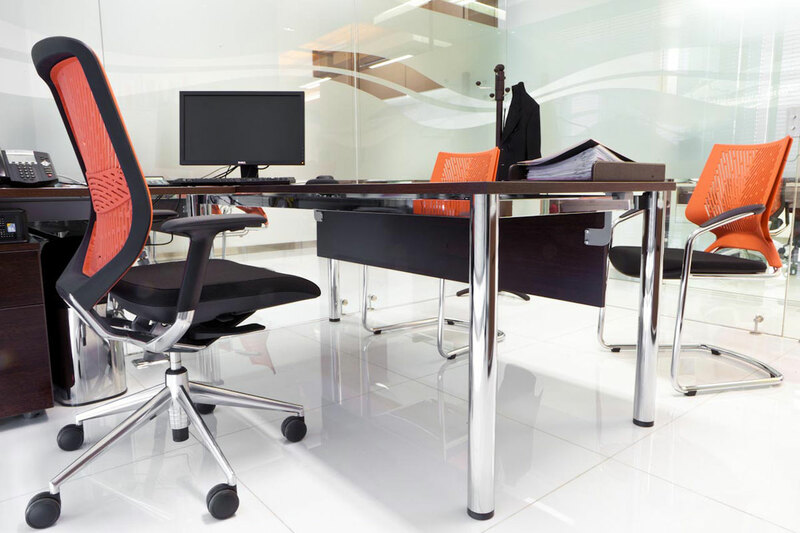 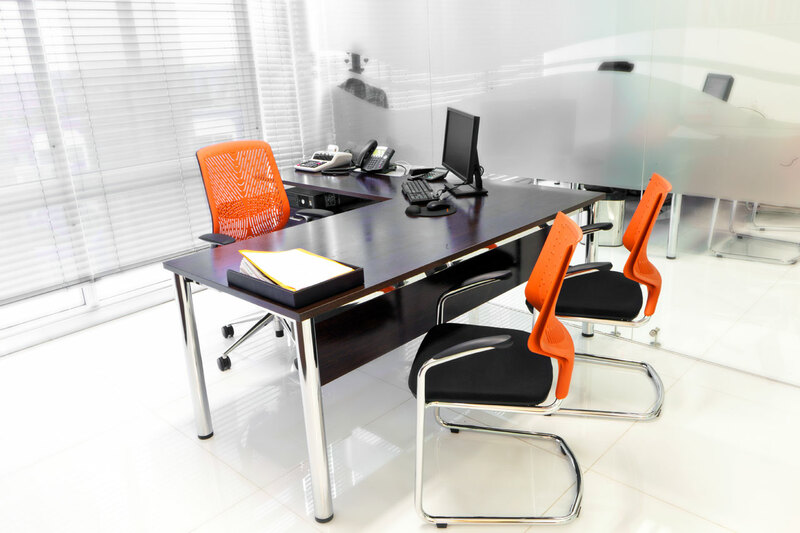 Office furniture for the Colombian firm Espumados S.A.
Espumados S.A. is a Production and Marketing leader of flexible polyurethane foam and end products such as mattresses, Furniture and other applications. 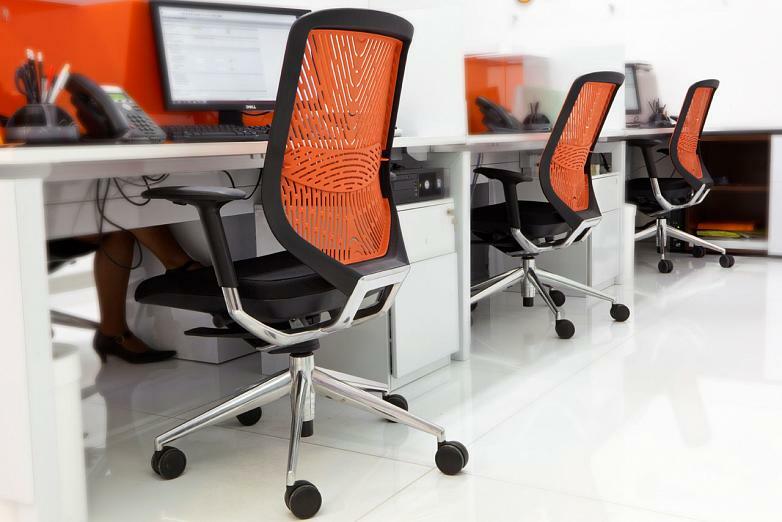 Their team of 350 employees account for superb quality, innovation, technology and design which are present as a permanent challenge in their business policy. 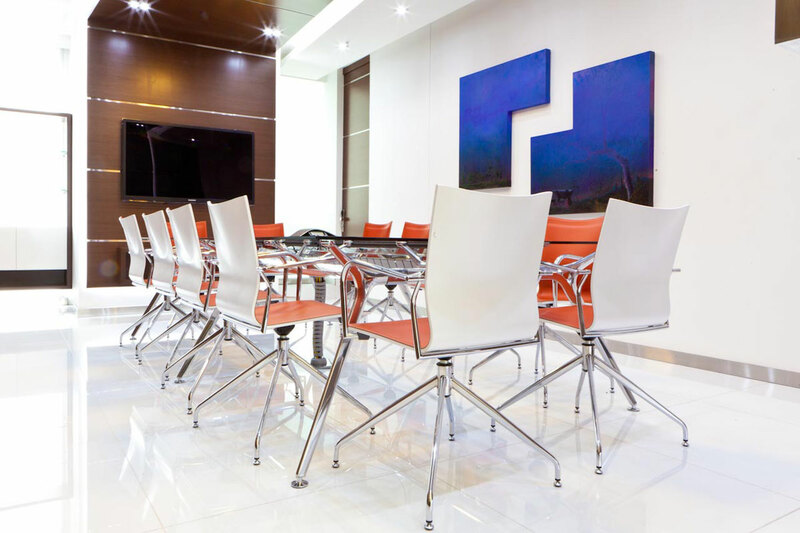 Actiu furniture was chosen to furnish the Arrecife Business Centre, in Bogotá, where the Presidency, General Management and the Commercial Area are centralized. Some offices are characterized by the intense light of their spaces, where white chairs preside over each space and the corporate orange offers a note of colour. 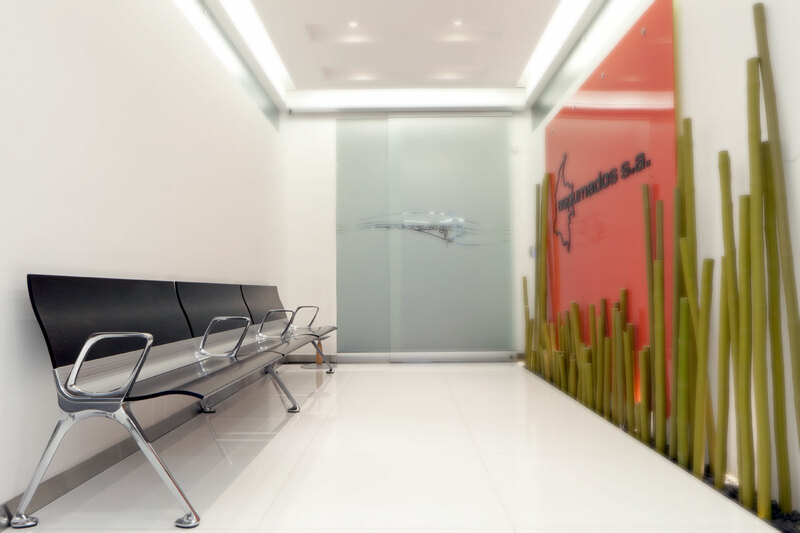 The Transit bench , with its clean and elegant lines has been placed in the access area to the installations. 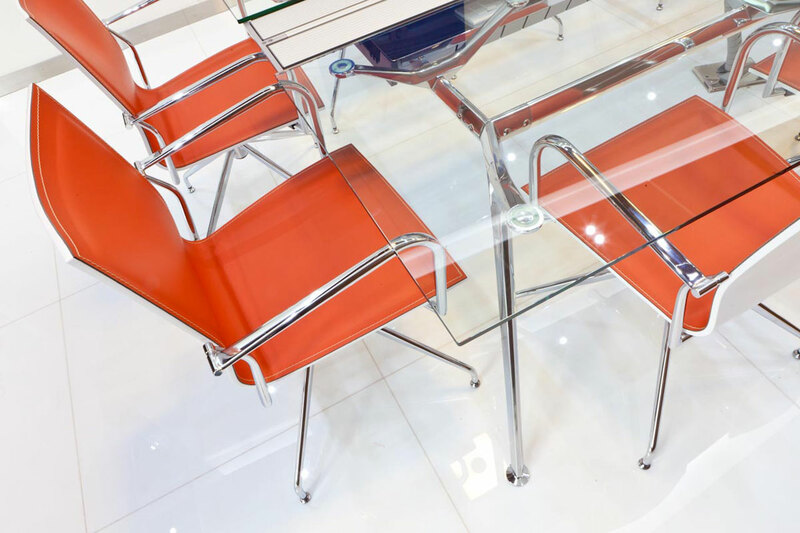 The lightness in the design of the legs on the Arkitek desk and its cover in transparent glass, create a feeling of being suspended in air above the working plane. 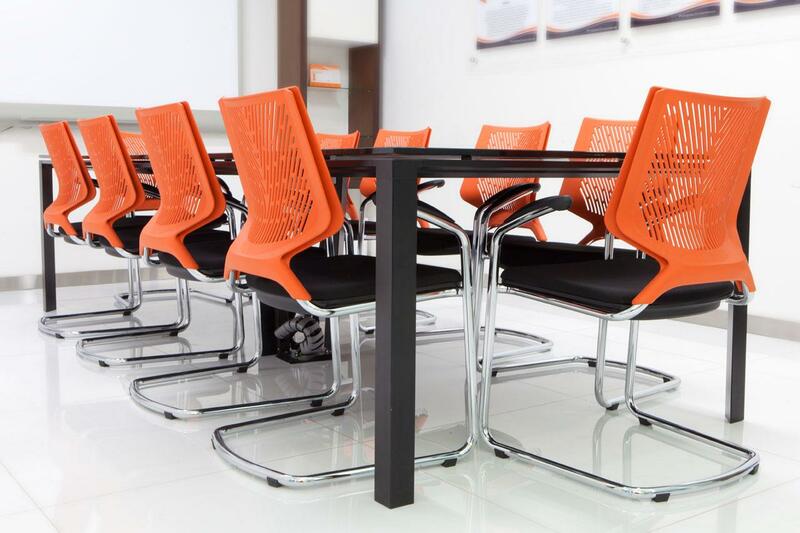 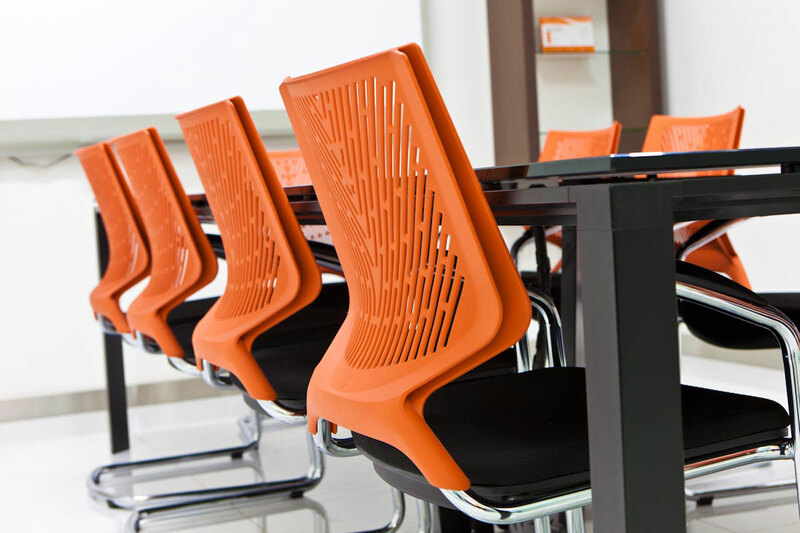 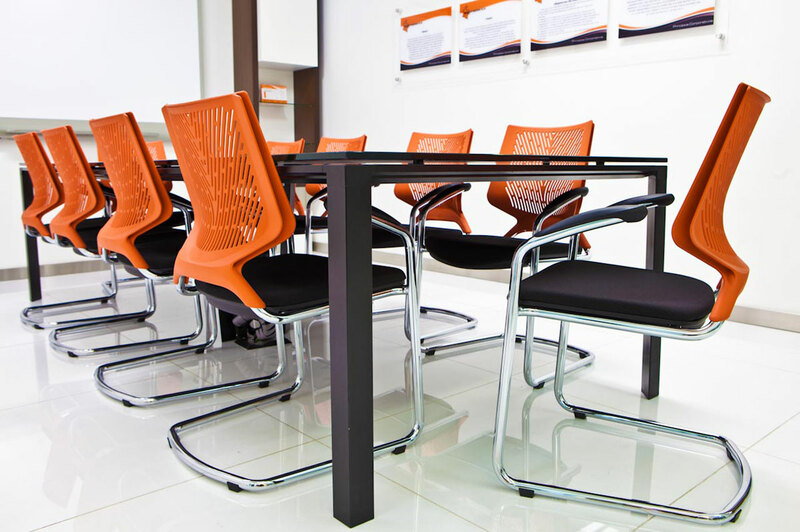 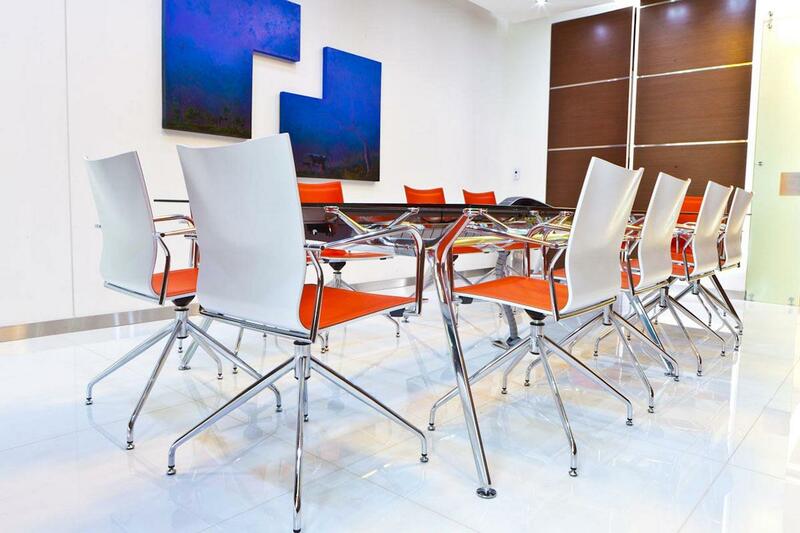 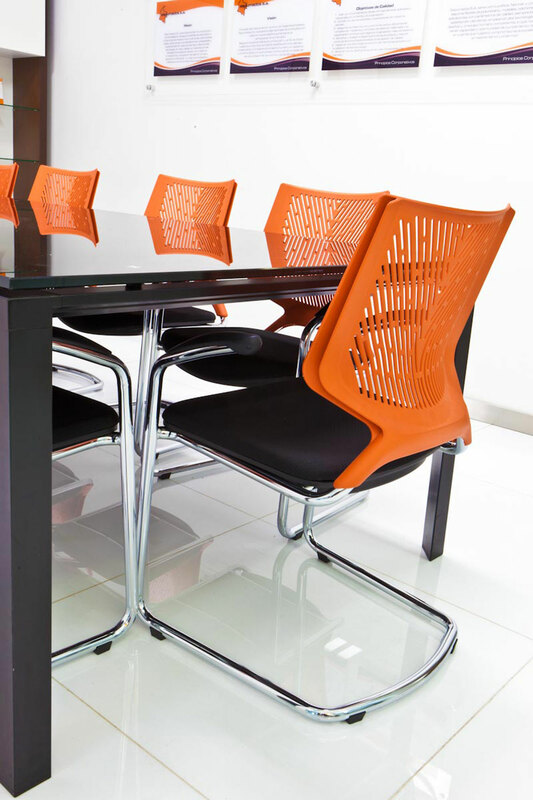 The Ikara chair, with interior orange leather trimmed leather and a white shell, perfectly accompanies the equipment and sets up a light, bright and avant guard meeting room. 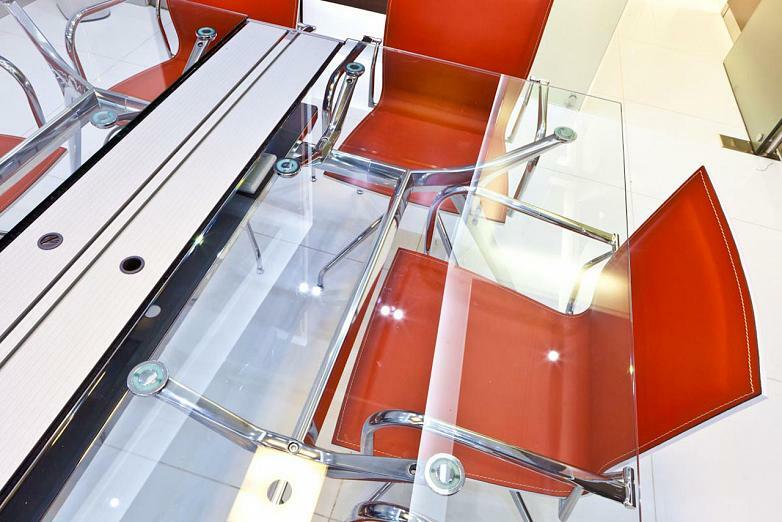 The Arkitek desk, thanks to its design with its architectural vision, combined asthetics and functionality alike. 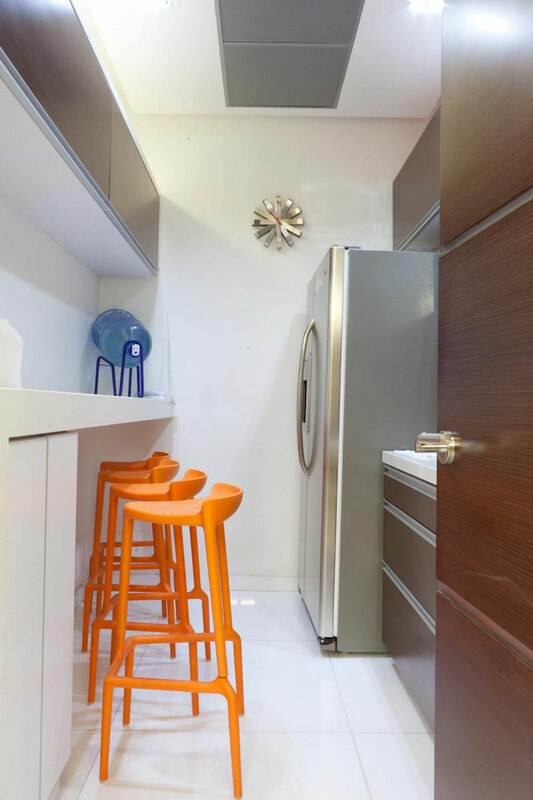 For this particular project, it incorporates an integrated central telecanal with a great capacity of wiring and connections. 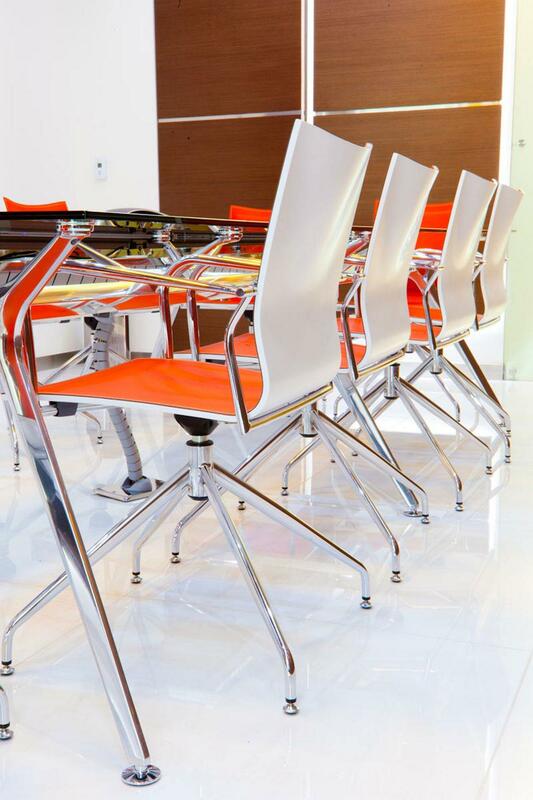 It optimizes accessibility to the work surface and allows optimal cable management. 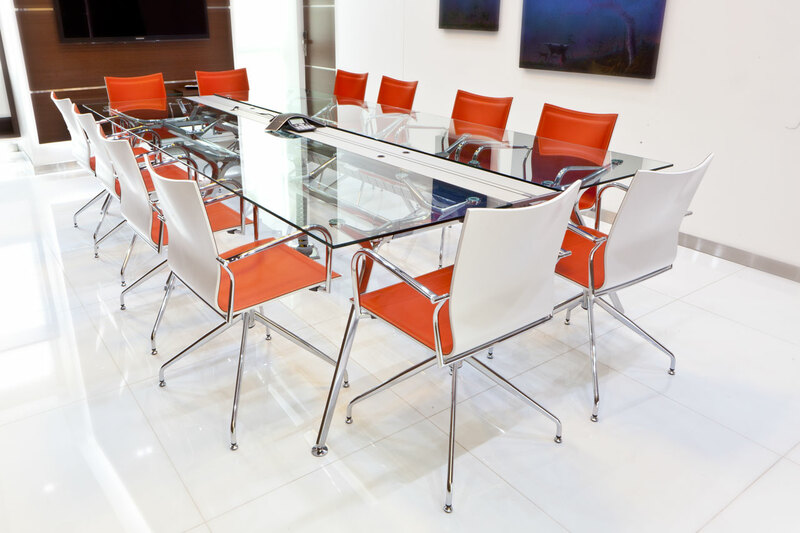 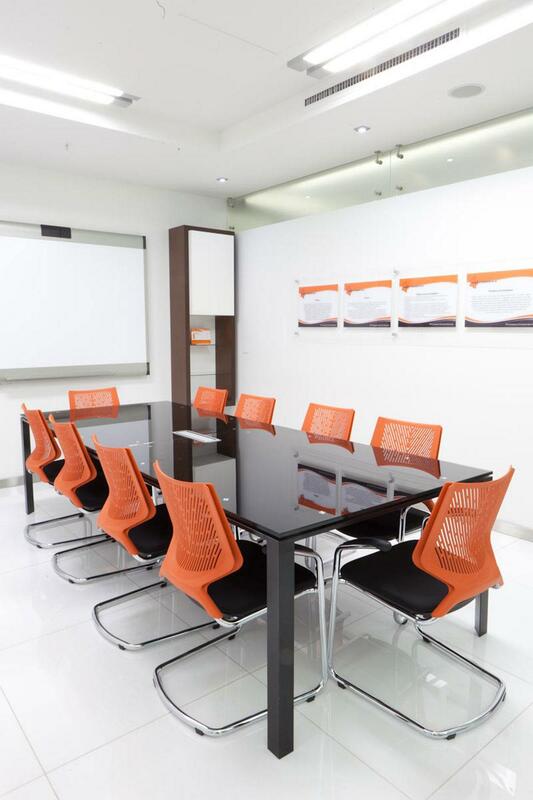 In another meeting room black, orange and chrome metal furniture has been placed to contrast the stark white floors and walls. 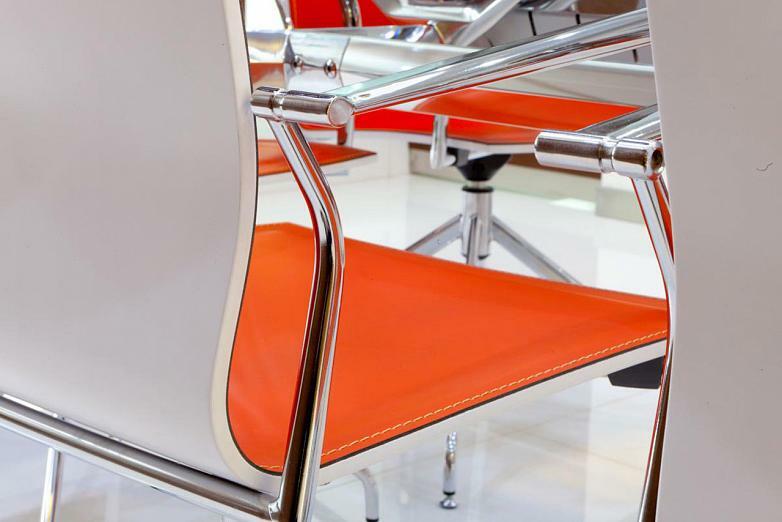 The Tnkid chair, with a flexible orange polypropylene finish for the backrest and a chrome steel tube structure, in a cantilever version, has resulted as the ideal complement. 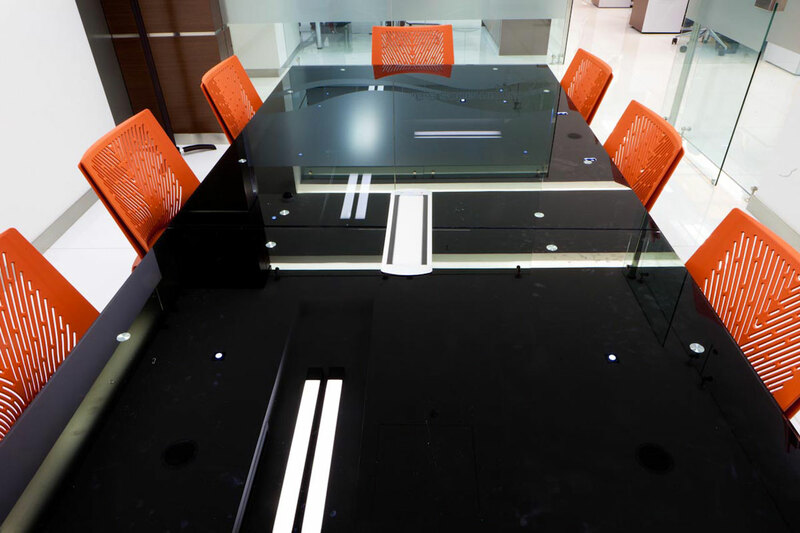 For offices the Cool E100 program was chosen with a melamine wenge finish. 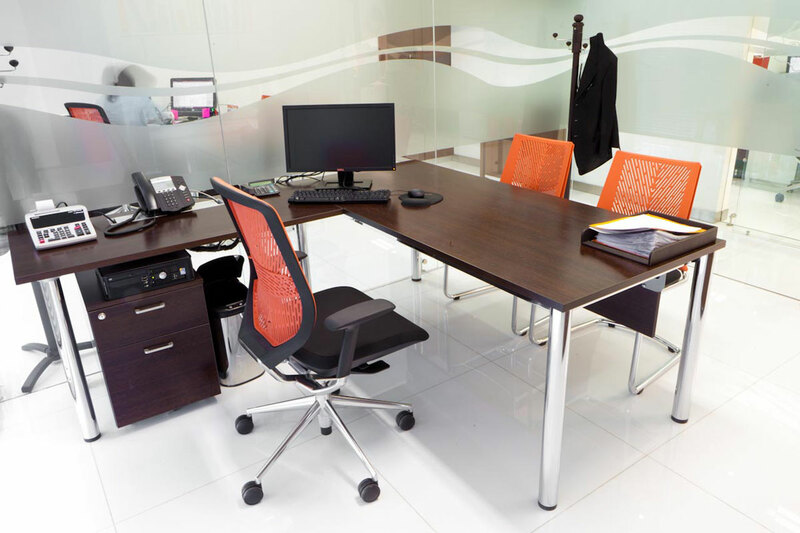 This program offers multiple configurations, such as the composition with auxiliar wings or hanging assessories to the structure of the desk, which gives maximum optimization of work surfaces. 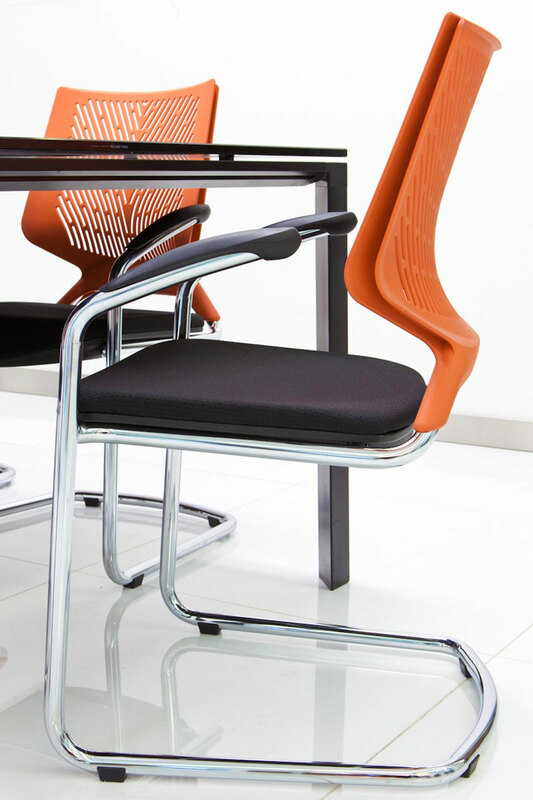 The TNK chair was installed in offices and job positions. 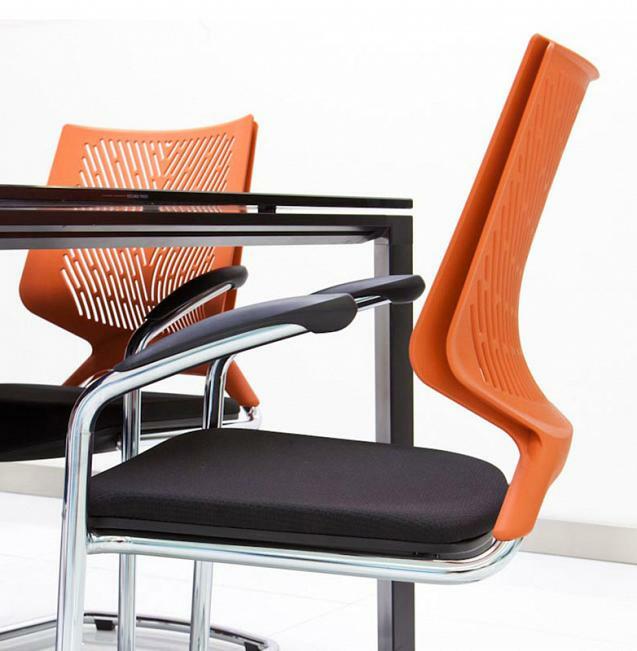 Its original ergonomic, breathable and flexible back, incorporates the patented evolutionary syncro auto-return which detects contact with the user, adjusting the speed of the movement of the return of the back.